Click the button below to add the 2016 Orbea Occam AM H10 Bike to your wish list. When Orbea revamped the Occam, and splitting the model into two distinct strains, the AM, or All-Mountain or 27.5”, and the TR, or Trail, or 29er, they knew they’d have to create an aluminum version. This is the AM H, or the hydroformed aluminum version. Hydroformed aluminum demonstrates advancing tech. The tubes are triple-butted aluminum, and they’re shaped more precisely than ever before, thanks to hydroforming. The shaping of this advanced metal can now nearly imitate that of molded carbon-fiber. With more-precise manipulation, the tubes perform better. Aluminum is also less expensive to fabricate and more tolerant of mishandling and crashes. The geometry is taken directly from the carbon-fiber version. They wanted something that was comfortable, stable, and fast. So they developed angles and tube lengths that provide a long reach for stability with shorter stems. They lowered the bottom bracket (340mm), for even more stability. To make for better climbing, they went with short chainstays (425mm). They paired the short stays with a steep seat angle (75-degrees) for improving climbing efficiency. And then, up front, they went with a slack head angle (67-degrees), to provide predictable steering. And to further improve lateral stiffness and long-term durability of the frame without impacting weight, they opted to embrace the Boost standard for both the front and rear wheels. In front, it’s a 110x15mm thru-axle. In the rear, it’s 148x12mm thru-axle. 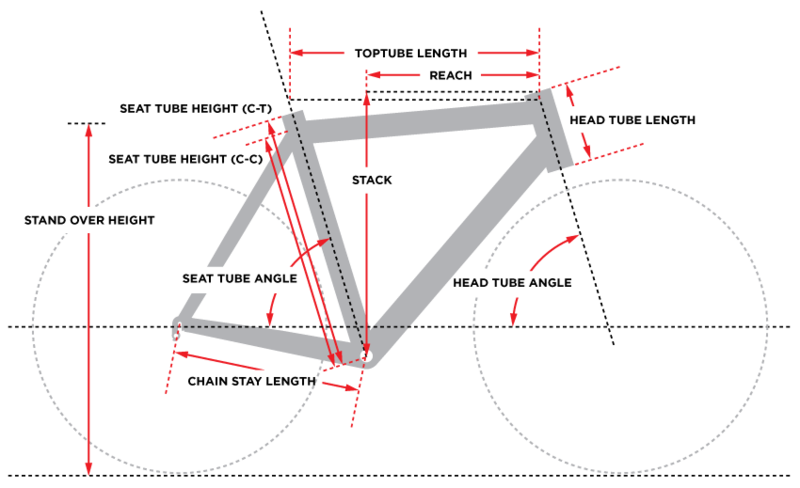 Greater width means wider triangulation for the spokes resulting in a laterally stiffer and stronger wheel. And the wider stance of both the fork and the rear triangle further improves lateral rigidity in the frame. The rear triangle actually does without any pivots by the rear axle, which offers several benefits. Without pivots, the rear end is lighter, more durable, less to maintain, less to go wrong. And the stays have vertical compliance designed into them, thanks to shaping. The stays are where much of the small-bump sensitivity comes from, which makes it easier for the shock to take care of bigger things. 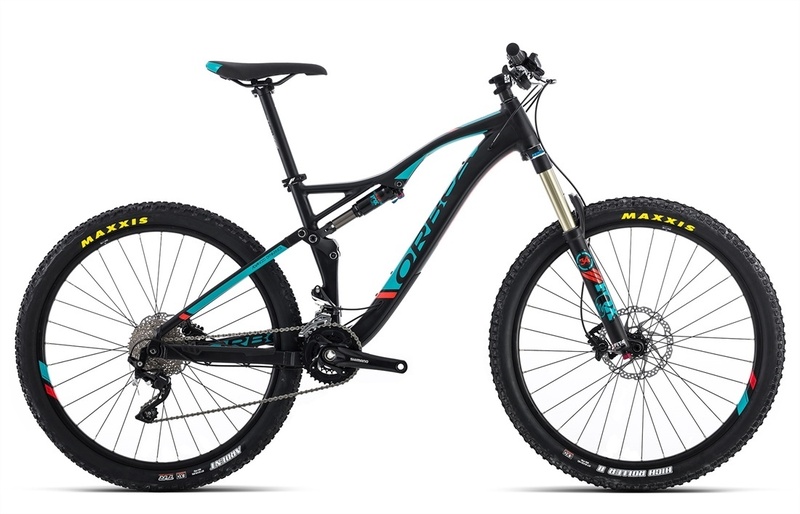 The shock itself a 140mm travel Fox Float DPS, is the result of a collaboration between Orbea and Fox. The action has been tuned thanks to Orbea’s Advanced Dynamics analysis, which offers smooth action throughout the travel range. From small-bump sensitivity to big-hit protection, you’re covered. It’s controlled by a three-position lever on the bars, which also allows for on-the-go adjustments for the Fox 34 Float with 140mm of travel. The Occam AM is a new paradigm for riding, one that blurs the lines. The H part of it, brings down the price to one that everyone get in on. Tires Maxxis Ardent (f) 27.5x2.25", Maxxis High Roller II (r)27.5x2.40"